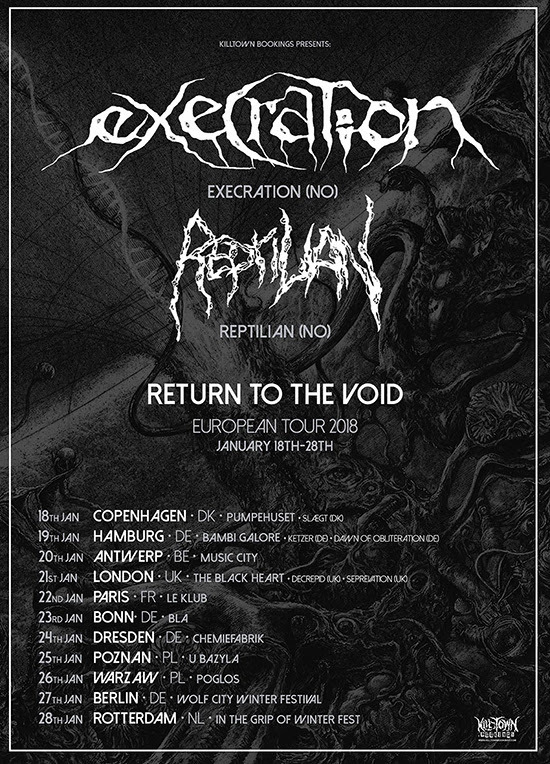 Execration will be heading out on a European tour titled the "Return To The Void" Tour. 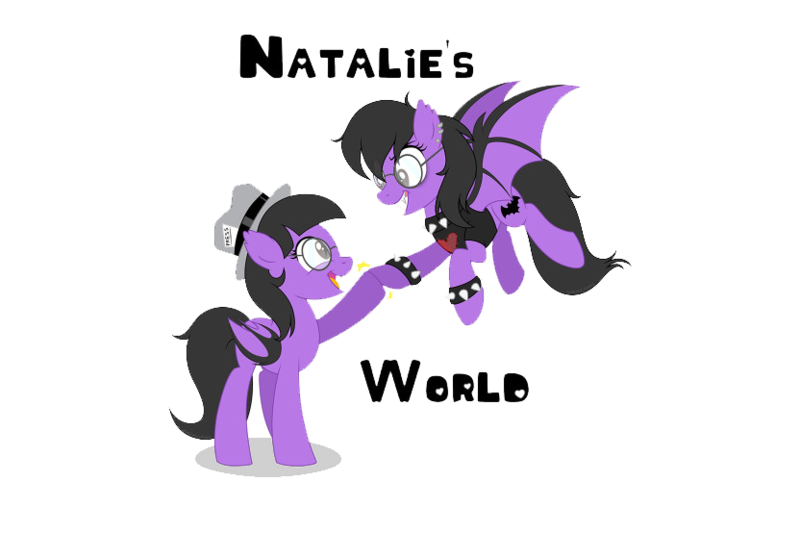 It will take place this next year starting in January, having support coming from Reptilian! Check out the list of dates below. 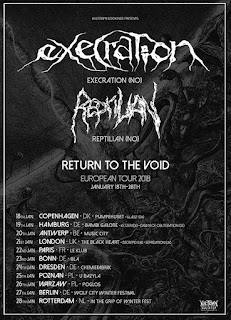 Comments Execration: "The Europe tour is just a few short weeks away, and all the details are locked down. We're very excited to hit the road again, to return to places we've not been in a while, and go places we haven't been yet. See you in January!"